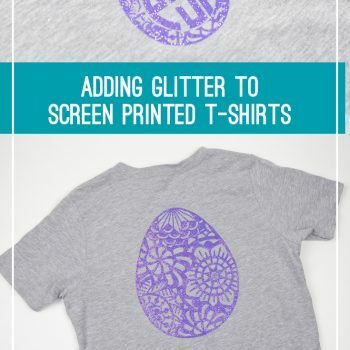 It’s time to add a little sparkle and shine to your t-shirts! I experimented adding glitter to my screen print process and I’m excited with the results. The results are not as thick of a glittered surface like you might get with HTV, but it adds a nice touch to the basic screen print ink colors. With 110 mesh screen on my Speedball screen, it wouldn’t allow glitter through (at least not the kind I had on hand). Since I couldn’t incorporate the glitter into the ink, I sprinkled it on the design after printing the design. I added the glitter immediately after lifting the screen, while the ink was still wet. After letting the shirt dry completely and heat setting the ink (Learn more about the screen printing process here), I washed the shirt. A good bit of the glitter does come off during the washing, so you will want to wash inside out and hang dry to preserve more of the glitter. I would recommend using as similar glitter color to the ink you choose. This way as the glitter flakes off, it will blend well with the ink color left underneath. 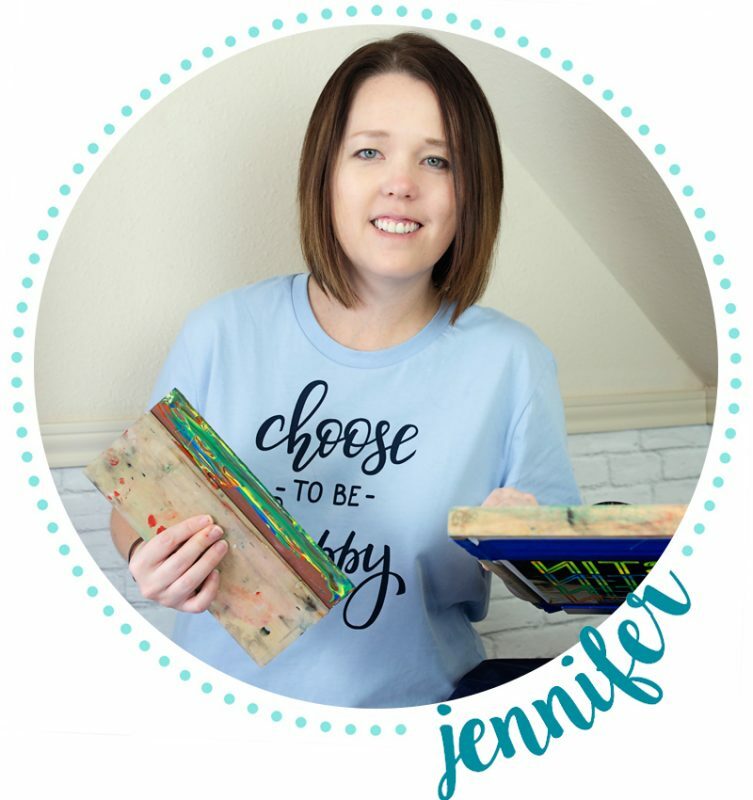 The mandala egg design was a free download from Lovebird Heartworks as part of their Instagram #EasterCutChallenge along with @PoofyCheeks and @HappyCrafters.